Dimatex Securite company is specialized in technical textiles. 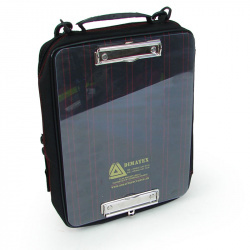 They develop, produce and commercialize textile equipment (cases, covers, bags, rescue belts, fall protection belts, etc.) 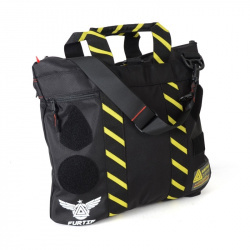 suited for professionals of various sectors of activity such as airline, medical, defense or rescue. Size 12 double aluminium zip lockings. Removable Patches and 4 velcros for your own patches. Unbending clear board with double clips. 2 clear document pockets A4. File 4 rings for A4 paper.